Break free from the spell of hibernation and head up to the quiet seaside town of Gordon’s Bay, situated just 50 minutes from Cape Town, for the magical and wonderfully cheerful annual Winter Wonderland Festival of Lights, which takes place this year from Friday, 30 June to Sunday, 9 July 2017. Approximately 40,000 visitors are expected to descend on the festival in 2017, which just goes to show how incredibly popular this cold season fair is. Since the quaint town is nestled safely against the slopes of the Hottentots-Holland mountain range, it is protected from the Cape’s biting, cold wind. And in honour of the pleasantly surprising temperate winter season local restaurants, pubs and businesses dress their establishments in twinkling fairy lights. Visitors and residents get treated to excellent entertainment and activities and can warm themselves from the inside out with the hearty food on offer. A major highlight of the Winter Wonderland festival is the Carnival Weekend, which has been extended to run over two weekends this year: from Friday, 30 June to Sunday, 2 July 2017 and Friday, 7 to Sunday, 9 July 2017. This event is once again set to be a fantastic fiesta with street parades, fun fairs and lots, lots more. Otherwise, those visiting any time during the fiesta will no doubt be spoiled for choice when it comes to things to do, see and taste. There will be wine tastings and a food fair dishing up comforting flavours for a start. Couples can get all cuddly and romantic during a walk along the lit-up harbour bridge. 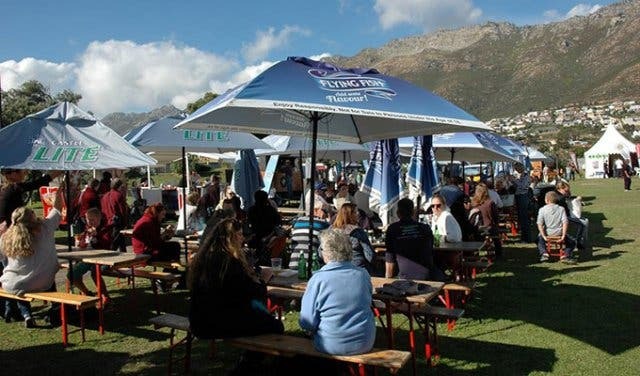 Festival-goers of all ages can find something that tickles their fancy amongst the smorgasbord of events, from fun activities and games for the wee ones to magical markets and live musical acts. In fact, the whole town, from trees to historic buildings to houses up the mountain, will sparkle throughout the festival, creating a spectacle to behold from far and near. With more than 240,000 LED light bulbs spanning three kilometres being used during the fair, you can be sure that this is going to be one dazzling, unforgettable event. Visit Winterwonderland.co.za to get details on the full scope of events and activities. While no cost is involved in perusing the town during this fun festival, and many events are free, certain activities do carry a price. Tickets are R10p/p for those over 1.2m. It’s a unique way of doing it but hey, at least short people stand a chance of getting a discount! Click through to the event website for more information on the programmes and prices.